Gazprom Petrol Stations is a premium brand bringing you high quality fuel, outstanding service and a wide selection of choice products. Gazprom Petrol Stations offer top quality motor fuels that comply with the Euro-5 standard, the use of which results in better engine performance, reduced emissions and greater driving pleasure. Also, we offer our customers a pleasant stay at restaurants and cafes, an extensive range of products, and many other amenities, with all our services available at any given time. Constantly striving to improve and provide customers with the best fuel and best services, Gazprom Petrol Stations remains dedicated to being your reliable companion on the road, making every journey you take a memorable experience. Gazprom Petrol Stations is part of NIS Gazprom Neft, one of the largest vertically integrated energy companies in Southeast Europe. The company's headquarters and production base are located in the Republic of Serbia, which, due to its geographical position, is the center of trade and investments in the Balkans. 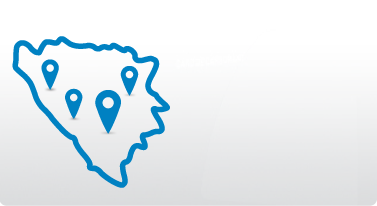 At the moment, Gazprom Petrol Stations has operations in Serbia, Bulgaria, Romania, and Bosnia and Herzegovina.